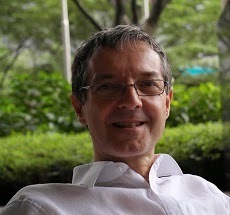 Thrilled to be on a Sabbatical, the first exactly after 10 years teaching and the very first while I am at King's College London - though entitled to have one year, the College decided to cut it down to one term, fine with me as it makes every day of this research break even more precious - I have embarked on a number of projects. Finally, I have also time to get back to my beloved readership of this blog, as I enjoy the primary conversation with you and the discussion of projects before they are released in print. the new book is first written in German, but will also appear in an English translation soon after. 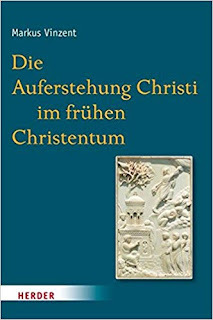 Different from the CUP book, The Beginnings of Christianity will attempt a retro-history of Christianity. 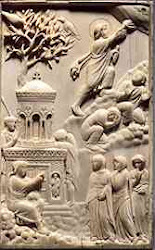 In order to show, how the contemporary grand narrative of the beginnings of Christianity emerged, we go through formative stages of its development, starting out from Orosius and his construction of the beginnings of early Christianity as part of his universal history in his Seven books of historical events against the pagans from the early fifth century CE. Christianity being Romanitas, a new chapter in history, compared to the pagan past, hence the divide of time into BC and CE. The next chapter deals with Eusebius of Cesarea, the reference for any writing of early Christian history. Interestingly, as you will see, Eusebius is far from using the canonical writings as the foundations of his story, but constructs his narrative using mainly Flavius Josephus and Jesus' own writing (as part of the letter exchange between King Abgar and Jesus). Other sources, amongst which also the canonical writings and particularly Acts surface, are mostly only corroborative to his main sources. Further chapters deal with Iulius Africanus, the chronist who provided Eusebius with his chronological time line, with Origen, the preacher and commentator of Scripture who is less interested in the material history, but wants us to focus on the spiritual path that goes beyond history, his counter-part Tertullian who is less interested in the Scriptures (be they historically or spiritually read), but focuses on the tradition of the Church and reconstructs the genealogy of authority, with Irenaeus, the mastermind behind the traditional construction of the beginnings of Christianity as we have learned it all. Instead of taking him as a representative and source for this kind of narrative which is reflected in Eusebius, but also in all our textbooks today, I read him as the creator of this story who struggled with counter-stories, but was the successful amongst competitors. 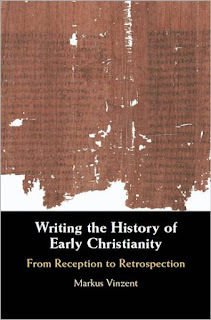 Further chapters will develop earlier constructions of the beginnings of Christianity, as done through the collection of writings brought together into the New Testament shortly before or contemporary to Irenaeus, the re-writing and complementing of Paul's letters, the previous attempt by Marcion and his New Testament and Paul's own construction, as seen through the version of Paul's letters that were available to Marcion. Hence, the book is a story of stories that moves scene by scene back towards the beginnings without claiming that any of these stories provide us with the one or the correct history of the beginnings. Instead it will show that our master-narrative today is but a revamped version of what has been constructed towards the late second through to the early fifth century. A separate manuscript is in development where I try to work out the historiography of retrospection, not directly linked to any particular history. And, of course, various books and articles on Meister Eckhart, the Fathers and other projects are prepared too. What an exciting time - can't wait to get up in the morning.